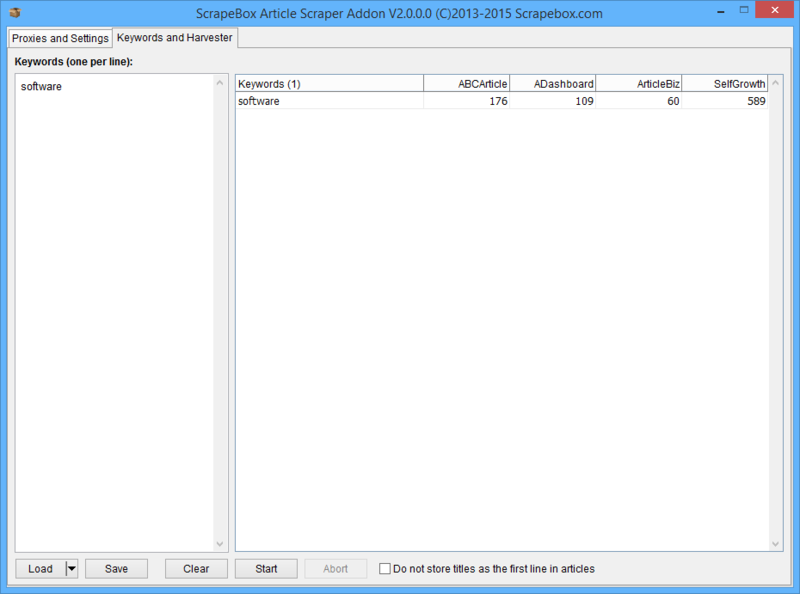 The ScrapeBox Article Scraper addon allows you to harvest thousands of articles from a number of popular article directories. The addon features proxy support, multi-threading for fast article retrieval, the ability to set how many articles to scrape before stopping, and articles can be saved in ANSI, UTF-8 or Unicode format so articles in any language can be harvested. Also there’s the option to automatically remove links and emails addresses from articles, and the ability to save articles in to keyword based subfolders so when harvesting articles for numerous keywords at the same time, all your articles are categorized. Check out the additional settings here. Harvesting and collecting articles is ideal for conducting research, obtaining ideas for content creation or for rewriting articles to form new unique articles. Want lots more features? We have an advanced Article Scraper Plugin which can post articles, spin articles, translate articles and much more. View our video tutorial showing the Article Scraper in action. 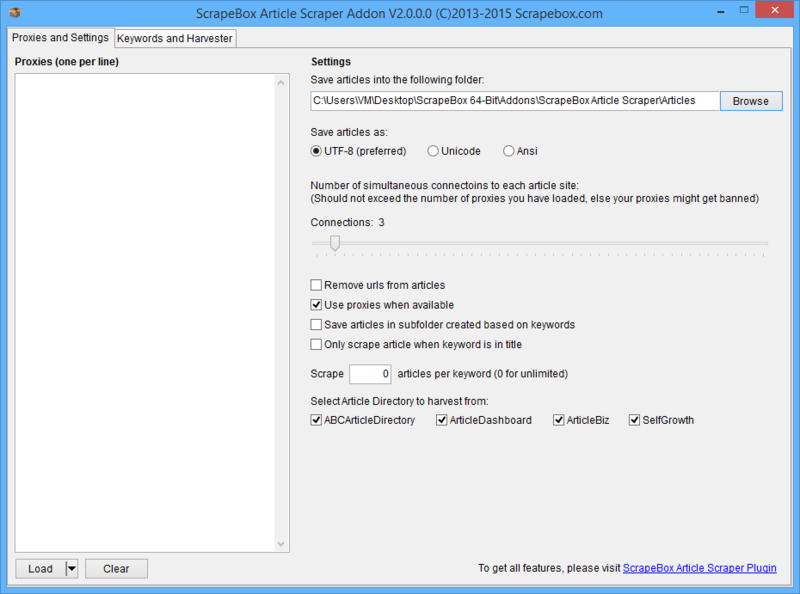 This is a free addon included with ScrapeBox, and we also have an advanced Article Scraper Plugin which you can view a video of to the right.